I had never heard of this film until the morning it opened in my town. I read up a bit, and what got me to the theater, frankly, was learning that director Steven Soderbergh shot this himself entirely on an iPhone 7. The parameters of which new fangled process added an eery quality to this excellent little film. 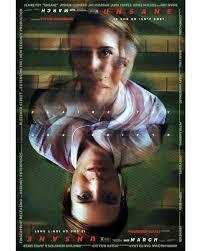 Claire Foy plays an intelligent young woman, who has moved to a new town because she was being stalked. The pivotal question is whether that is actually happening, or whether she is simply hallucinating it? She ends up unwittingly locked in a mental health facility after going to talk with somebody about what’s going on with her? The stalker, it turns out, is an attendant at the facility? Or, is she just imagining that? This psychological drama is cleverly drawn up and adroitly presented.